It is official. We will be moving back to Athens in a few months. The decision was announced to us yesterday and even though we were by all means expecting it, it still made my heart and stomach stir. I should have gotten used to it by now. The packing, the moving, the leaving. It is, after all, exactly what I signed up for and was very much looking forward. A life of constant change and variety; travelling; never experiencing a dull moment....The life of a diplomat's wife... I sound somewhat melodramatic and I am sure this could make a great title for a novel, but my life is nothing like this. Except only in my very active imagination. Sure we get to live in various countries, and over the years we have had many interesting experiences and met so many amazing people. There is always, though, a price to pay in the end. Leaving everything and everyone behind and heading on to the new post. It was not a major problem for me a few years ago but disturbingly enough the moments I crave stability and even some boredom are starting to increase. Maybe that is why, when a friend asked me how I felt about leaving Zagreb it took me several minutes to get my answer straight. Because, if nothing else, Zagreb is a very solid city to live. It is small and - truth be told - a little provincial compared to other EU capitals. The winter especially can be quite a challenge as everyone seems to disappear from the streets after the sun goes down. Still, it is safe and very green and is inviting - temping you really - to grow roots and settle down. And I have to admit I might have been tempted to do just that, and for a moment, this utterly unfeasible thought took form and lived briefly in my mind. Not just yet though. We still have a few months here and Spring is coming soon - more sun, more people, hopefully, more good memories to take back to Athens with me. 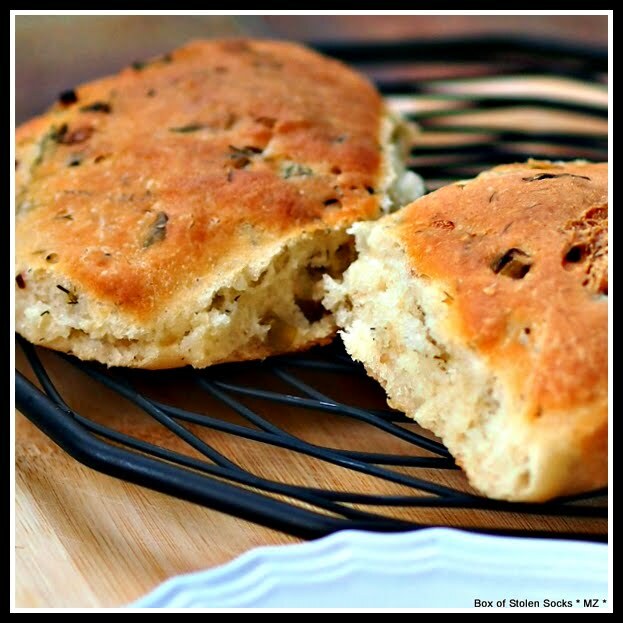 I am going to leave you for today with a recipe for light Spring Herb Buns. 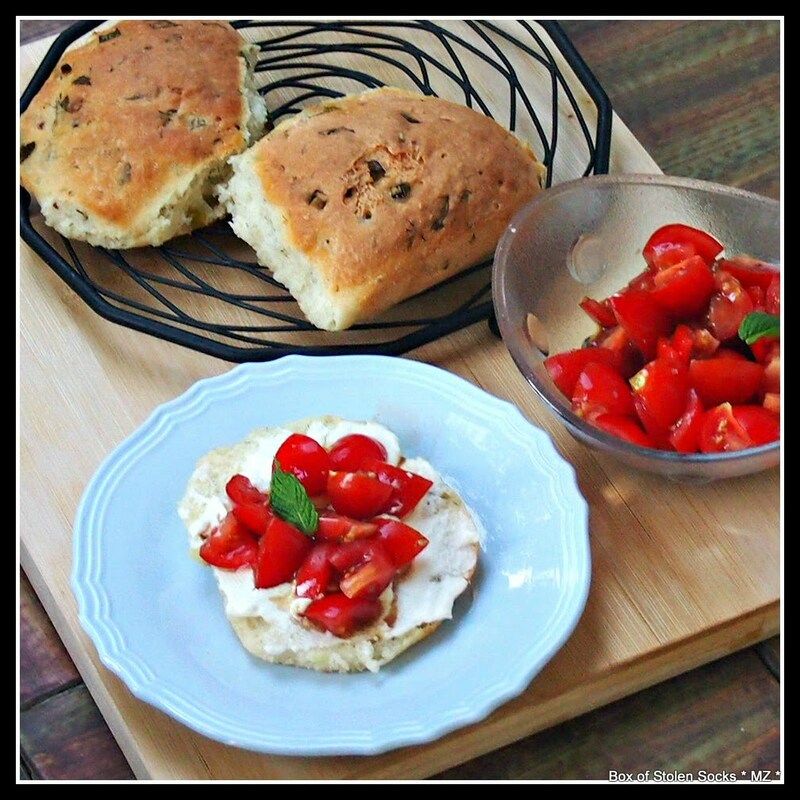 If you know me, or follow the blog, you know that I am not a huge fan of bread. I only eat bread if there is a sizeable layer of cheese, ham and mayonnaise sandwiched between two tiny slices of white bread. Nevertheless, George loves bread and this is a recipe I made for him late last Spring inspired by all the fresh herbs I found in the market. It is early to say that Spring has arrived and I am sure that some of you still have snow in your back yards, but the sun has been shining all weekend here and my daffodils bloomed this morning, so I cannot keep myself from thinking that the Winter greyness is going to end soon. 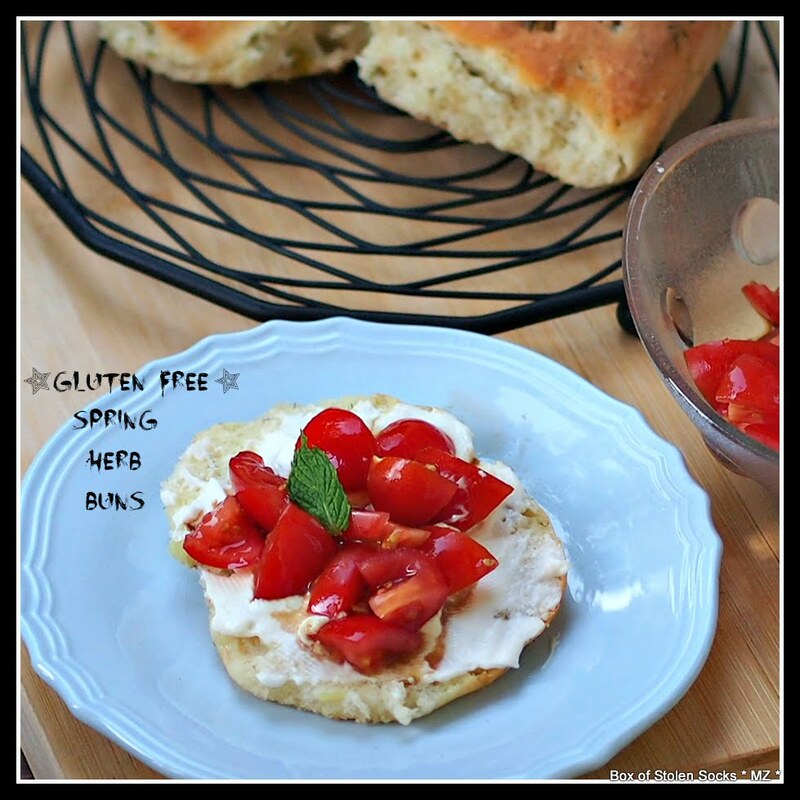 As with most of the baking recipes you will find of this blog, these Spring Herb Buns are gluten free. They are packed with fresh herbs: parsley, dill, mint, oregano and spring onions. When I took them out of the oven I was so tempted to break one in half, smear it with cream cheese and just devour it there and then! And you know what? I did just that! Sometimes even I can forget that I don't like bread, especially when it is so crispy and smells like a fresh herb garden! In a large bowl or in the bowl of your mixer put the flour, yeast and salt and stir them until they combine. Pour in the warmed buttermilk (or warm water). 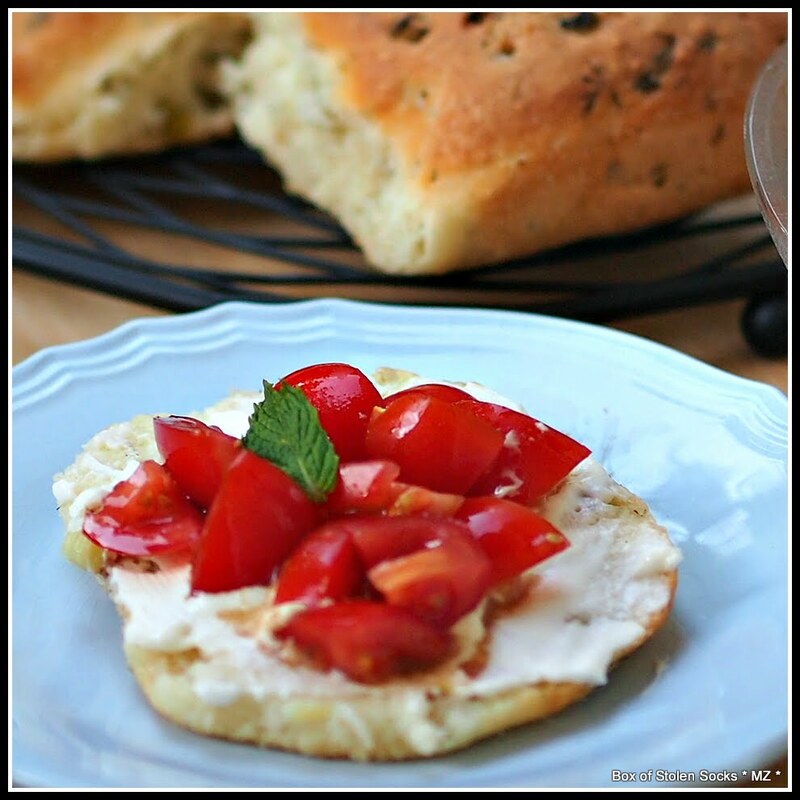 Knead softly until everything is combined and a smooth and soft dough forms. You can use you the dough hook of your mixer to mix the dough but be careful not to overdo it. The dough has to be soft. If you decide to do it by hand you can dip your hands in water while kneading so that it remains soft. When the dough is formed add the olive oil, chopped herb, sesame seeds and oregano. Knead until all is uniformly combined. Cover with a towel to rest for 15 minutes. Oil a baking sheet (or 2 bread pans) and divide the dough in 10 buns. Put them on the baking sheet and with a warm damp towel. Keep them somewhere warm for 45 minutes. I leave them in my kitchen because it the warmest room of the house. They will double in size. Bake them for about 50 minutes. If you want you can put a small ovenproof dish filled with water in your oven before you put the bread inside. The vapours of the boiling water will make the your bread crispier.